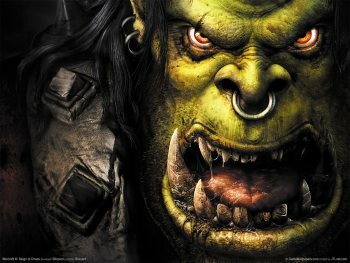 Blizzard wants the National Arbitration Forum to grant it ownership of the HeroesofWarcraft.com domain. If you've never before heard of Heroes of Warcraft, it's likely because there's no such game as Heroes of Warcraft. There is a HeroesofWarcraft.com domain, but according to a WHOIS it's held by some guy named Simon Rattray of the U.K. Now Blizzard wants it, and it's gone to the National Arbitration Forum to get it. To win the case it must demonstrate that the domain name "is identical or confusingly similar to a trademark" it holds, that the current holder has no legitimate interest in the domain and that it "has been registered and is being used in bad faith." It's not known whether Blizzard tried and failed to reach a deal with Rattray or just went straight to the arbitration process, but on those three points it would seem to have pretty good odds of winning the dispute. Blizzard isn't saying anything about what it has in mind for the domain, but this isn't its first complaint over a Warcraft-related domain held by someone else: It disputed and won control over the worldofwarcraft.es domain in 2007. Activision and Microsoft have also availed themselves of the National Arbitration Forum's services, Activision in 2011 for the ModernWarfare3.com domain and Microsoft earlier this year, when it sought control of Halo4Beta.net.